Valentine’s Day is the first major retail holiday after the Christmas season, making it a great opportunity for marketers to promote their products. Valentine’s Day spending is expected to be strong this year given the positive aspects of the U.S. economy. Customers spend around $19.7 billion for Valentine’s, so there’s plenty to cash up for grabs. If you’re looking to boost sales for the holiday, you can start by appealing to a broad audience. Oddly, this is counterintuitive to what I tend to say regarding general marketing tactics. Usually, focusing on the right buyer demographics is ideal. 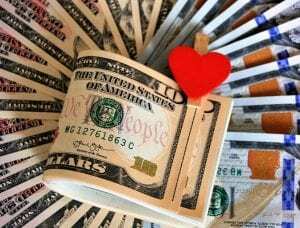 However, for Valentine’s Day, focusing on a single group of consumers may alienate others who are just as likely to shell out cash. For example, you may target married people on Valentine’s Day, but much of the market is dominated by singles. Think big and consider that people may be buying for co-workers, family members, classmates, friends, and even pets on Valentine’s Day. Be sensitive to the timing of Valentine’s Day. Most Valentine’s Day purchases are made in the early part of February. Very few are made in January. Don’t be premature with spending your advertising dollars. Wait until the last two weeks (now!) before the holiday and then crush it. Make sure to develop an understanding of your target audience that will help you select the best keywords. Incorporate phrases like “gifts for husbands” and “gifts for wives.” Don’t neglect “gifts for friends,” which ranks high as a search phrase in the lead-up to Valentine’s Day. Finally, make sure that you optimize your website for mobile users. Nearly two years ago was when mobile traffic started to tip the scale over desktop visitors. Make sure that potential customers coming to your site for Valentine’s Day-related searches are able to buy their gifts just as easily on a desktop as they can on a smart phone or tablet.